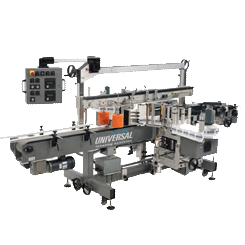 The UPA-II printer applicator is a complete print and apply labeling system which can generate variable text, barcodes, graphics and other ID information onto labels. The UPA-II uses state of the art technology. The UPA II is synonymous with industrial strength product identification. The UPA II can be found in some of the most difficult environments, working under the most strenuous of conditions. It’s not your “throw-away” printer applicator, but it’s priced to make you wonder why you would want to throw your money away on other “run-of-the-mill” printer applicators.